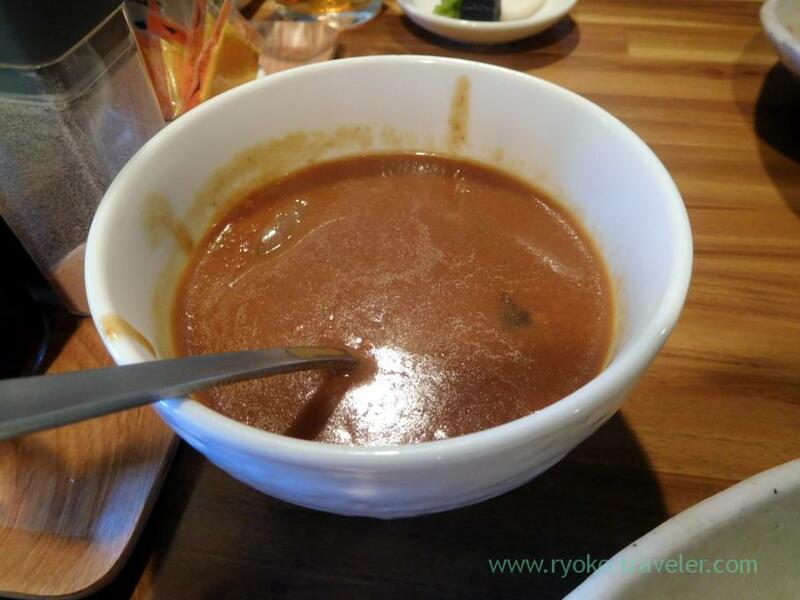 Great tonkatsu restaurant named Tonkatsu Okura was moved from all the way from Futako-Tamagawa to Chiba. Truthfully speaking, it’s location is not good now for visitors from another prefecture, but it’s worth visiting. Welcome ! They moved to there in December 2018. It’s still new ! 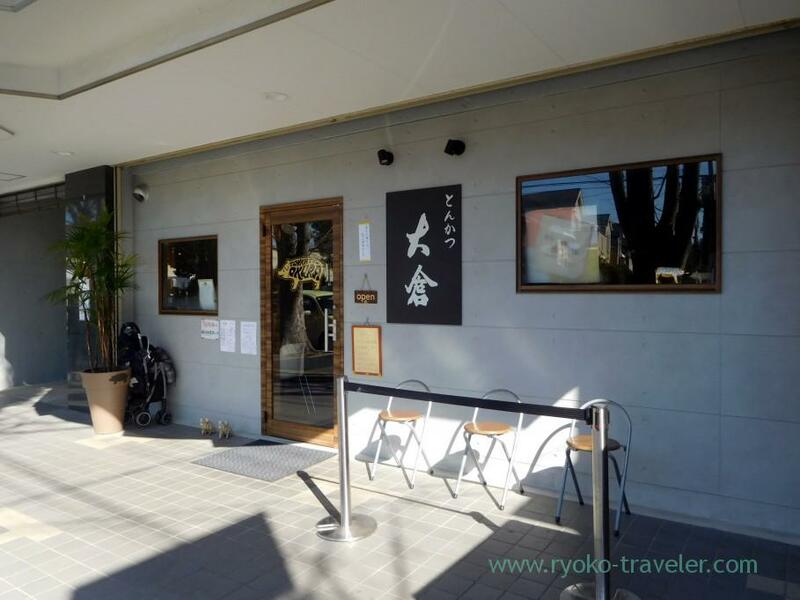 Now the founder retired from main chef and his son run this restaurant and cook tonkatsu. The founder help his son in the kitchen. When we visited there on Saturday, there were many people before the opening time. But the line wasn’t too long. But I think they’ll soon be one of the most popular tonkatsu restaurant in Chiba ! There are counter seats and tables. About 20 seats in all. It looks like cafe and Italian foods restaurant. The closest station is Nishi-Nobuto station (Keisei Chiba Line). After you get out from the station go across Keiyo Road toward JR Keiyo Line railway. It takes about 10 minutes. And another, you can walk from JR Nishi-Chiba station, Chiba station, Chiba Minato station. If you use Chiba station, you can get to there in 20 minutes on foot. Menu is outside, too. 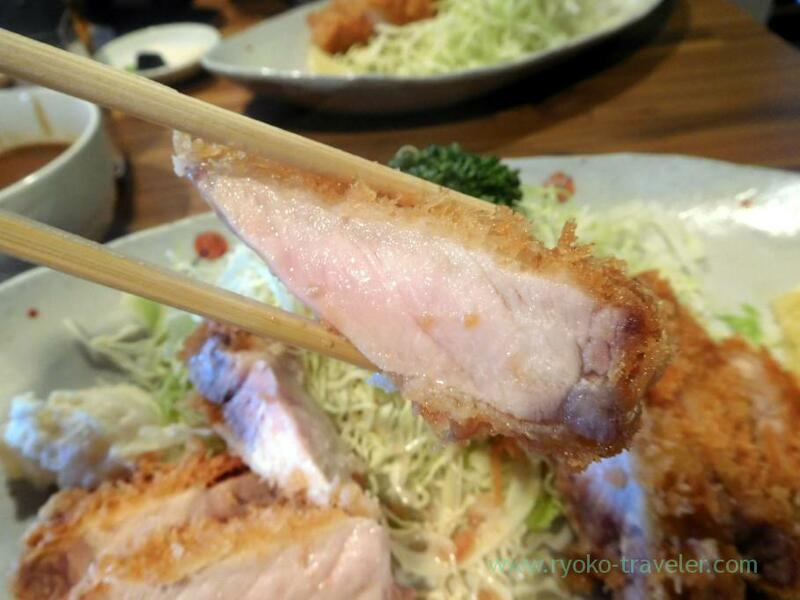 They prepare few Special loin tonkatsu (特ロース定食). They prepared only for five people that day, too. So, many people who gathered in front of the restaurant before the opening time wanted to have it. So, it was sold out soon just after the opening time. So… this is the Special Loin Tonkatsu set (特ロース定食, 1700 yen) that is sold out just after the opening time. It have tonjiru (pork soup), rice, pickles, too. Look at this pale pink-colored dressed with crisp coating ! They recommend it with rock salt on the table, but it was already seasoned with salt lightly, so it’s enough good without any seasonings. And while eating it without any seasonings, I didn’t eat much rice. I wanted to keep eating this tonkatsu only. Though it’s fatty, but it’s not greasy at all. I never got tired of eating it. 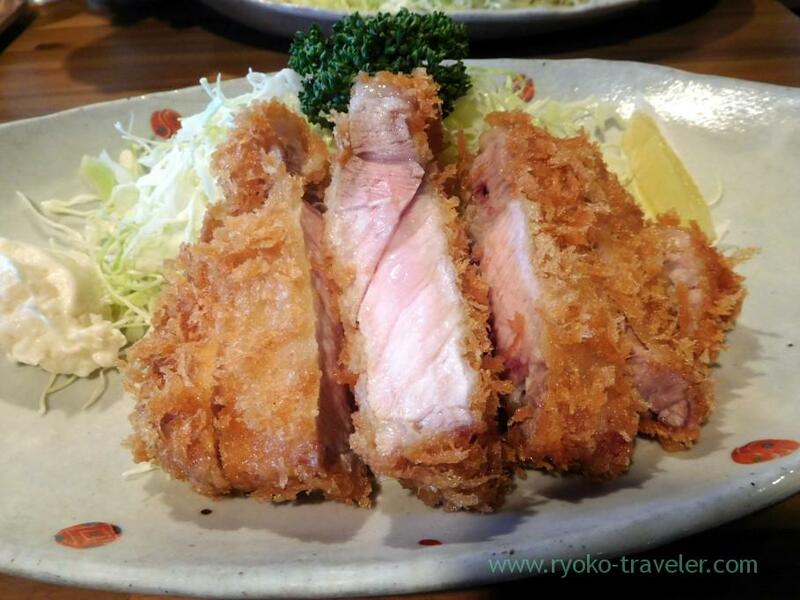 The number of this Special loin tonkatsu is shown at the door outside. 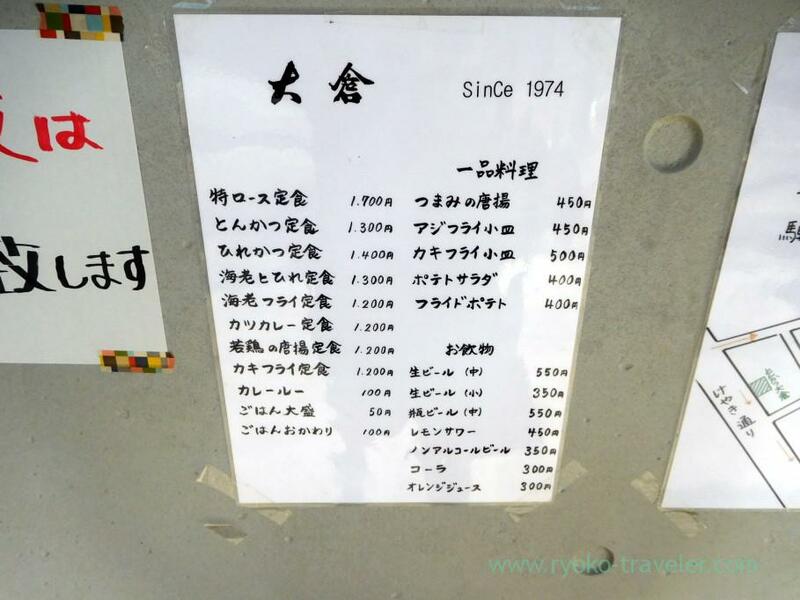 And after it is out of stock, there’s a paper “Special Loin Tonkatsu Sold out” is shown. So…. much rice left… But they have curry (カレールー, 100 yen) ! Though it’s mild but spicy. It’s 100 yen, but the amount is large. I think it’s enough large for eating full size of curry and rice. So, I recommend two people share it. 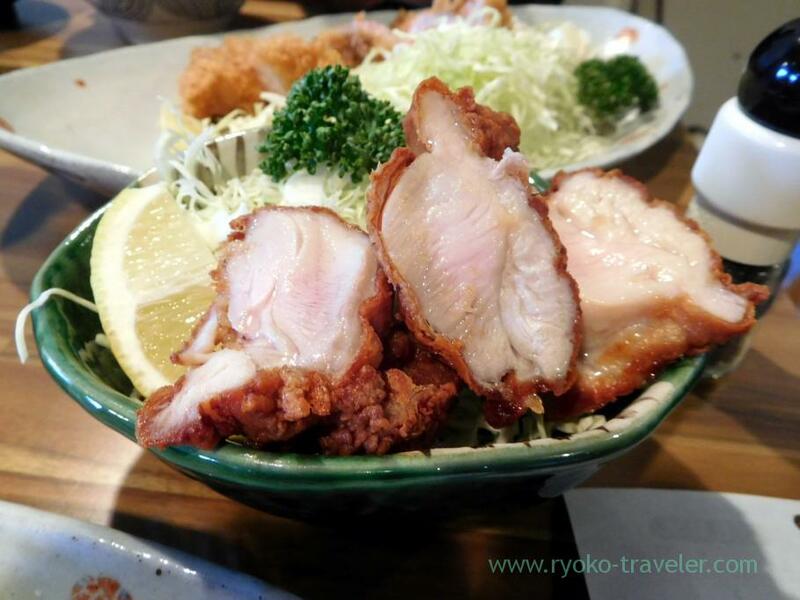 By the way, they are tonkatsu restaurant, but their karaage is great, too. This is karaage (つまみ唐揚げ, 450 yen). I think it’s expensive a bit, but this karaage is delicious. Of course, they have karaage set (若鶏の唐揚げ定食, 1200 yen) having rice and soup. 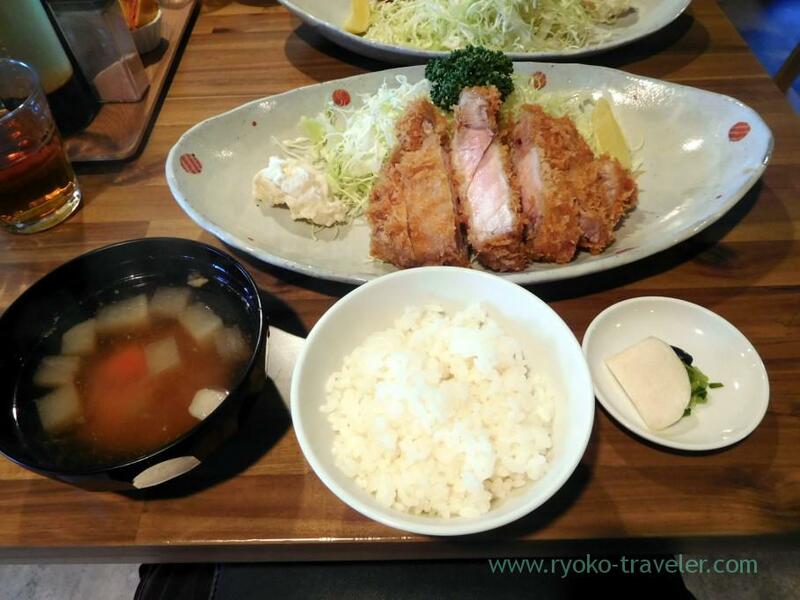 There’s no restaurant that serve karaage set except Tonkatsu Okura. I think they are proud of their karaage, too. Open / 11 a.m. – 2 p.m., 5:30 p.m. – 8:30 p.m.